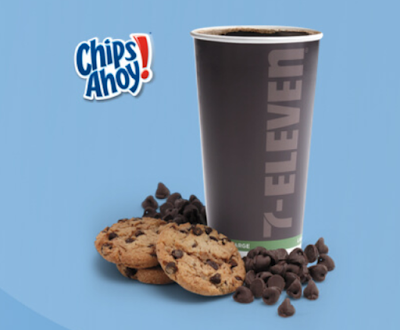 7-Eleven features the flavor of Chips Ahoy chocolate chip cookies in new Chips Ahoy Hot Cocoa. 7-Eleven has featured cookie-flavored hot cocoa before. Back in 2015, they introduced Oreo Hot Cocoa and in 2017, they were stocking Oreo Mint Hot Cocoa.